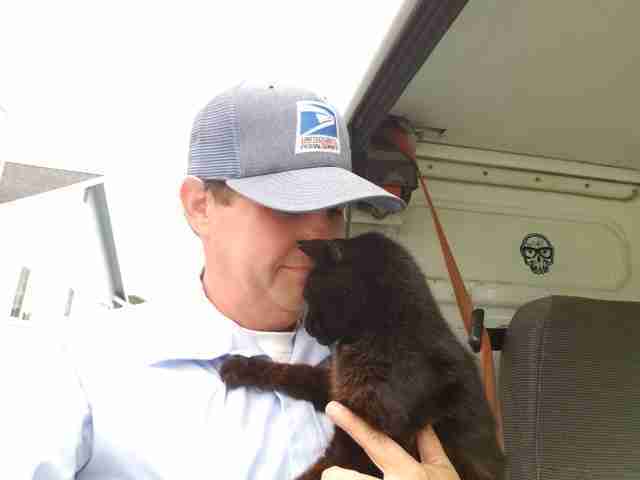 One of the best perks of Mike McEuen’s job is the pets he gets to meet along his routes. 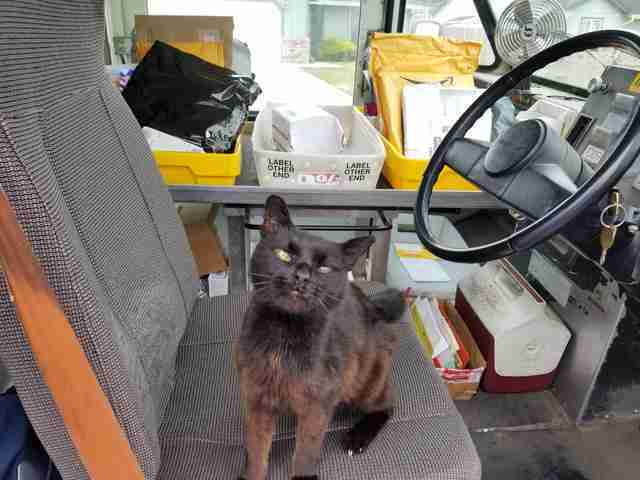 While McEuen, a mail carrier in McKinleyville, California, loves them all, one special animal named Bijou stands out from the rest. McEuen met Bijou four years ago when he started a new route. 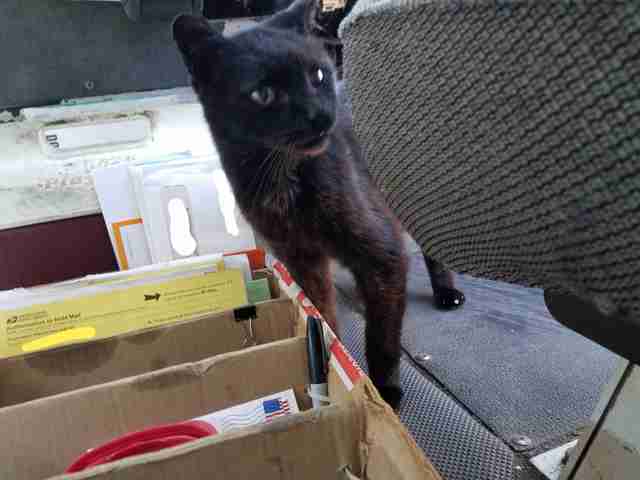 Though the elderly cat, who has one milky eye and a crooked half-tail, seemed tough, she had a reputation among other mail carriers as the ultimate sweetheart. As a substitute carrier, McEuen works five different routes, which means he only sees Bijou once a week. 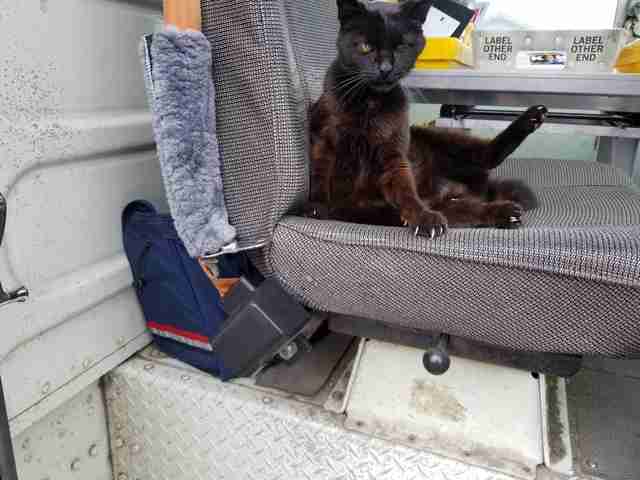 But the little cat always makes a point to go out and visit her friend when she hears his truck pulling up to her house. Bijou has never been shy and, even in the first few weeks of their friendship, she would rub against McEuen’s feet until he was done delivering. 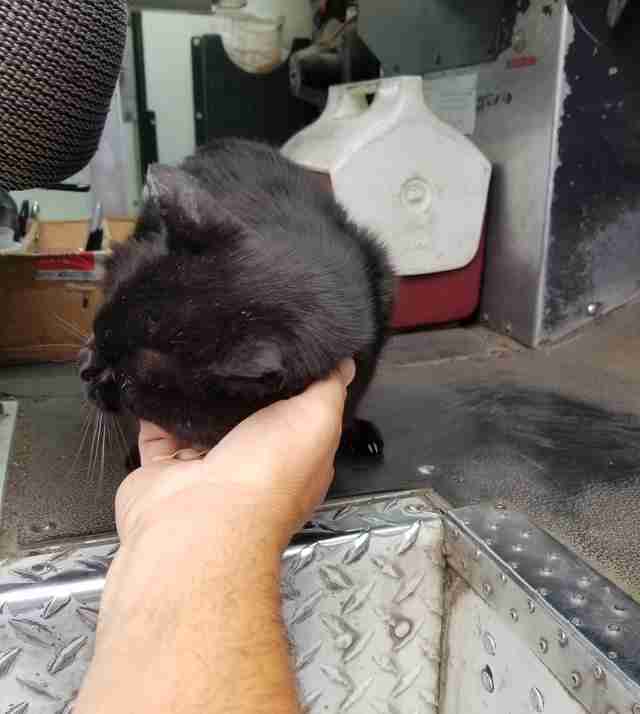 Recently, the old cat has gotten even more bold, climbing into McEuen’s truck while he’s distracted. Over time, the two have grown close, so close that Bijou will not let McEuen leave without giving her some quality attention — even if it means taking control of his vehicle. While Bijou may seem demanding, her visits always brighten McEuen’s workday. 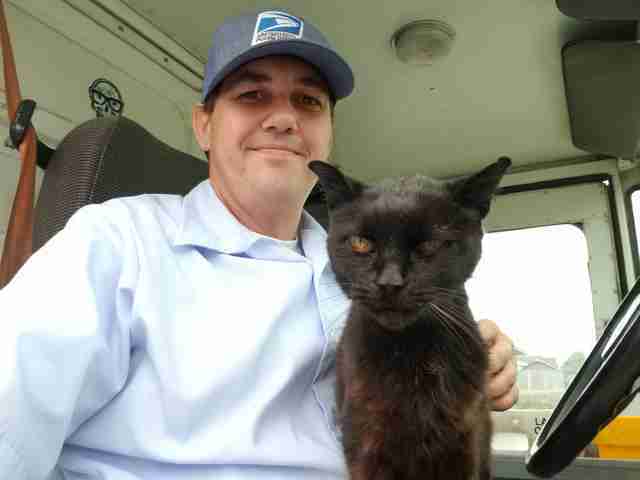 McEuen and Bijou are just one example of the special connections that mail carriers can have with animals, and McEuen hopes his visits improve their days just as much as they delight him.